Up until very recently, the only game in town for most homeowners for flood insurance was the National Flood Insurance Program (NFIP), underwritten by FEMA and backed by the government for claims payments. This system came in to existence in the 1960’s when it was decided that although private companies are well able to SELL and SERVICE flood insurance, the potential for giant losses when whole areas are hit by a flood could only be taken on with the taxing power of the U.S. Government to back it up. Is My Insurance Company ‘A-Rated’? I just got a question from a prospective client about what the financial rating is for the companies we have used to quote coverage for the home they are buying. The answer is not so simple, so I thought this would be another good subject for a post. A lot goes into a carrier’s financial rating, but mostly it’s about analyzing their ability to pay claims, and the biggest issue there for us on Long Island, and particularly on the South Shore, is catastrophic windstorm. This can be a hurricane or just high winds. But the problem is that it affects MANY homes rather than just one or two. Virtually all insurance companies can easily pay for one or two homes that, for instance, burn completely to the ground. But the idea that a windstorm could damage THOUSANDS of homes in the same area at the same time could bankrupt an insurance carrier who is not that stable. Since the financial meltdown of 2008, AM Best (www.ambest.com ), the oldest and most respected rating company, has gotten much more conservative in their ratings. This is due to a number of factors. For one, the accounting mumbo jumbo that led to a lot of losses in the meltdown, was hidden even from the rating companies. For another, global climate change is drastically changing the exposures near the coast. So companies who write homes near the water have a much tougher time getting that coveted A rating. In the meantime, most of the biggest traditional insurance companies (Travelers, Allstate, Hartford, State Farm, etc) have pulled back 2-3 miles from water in what they write. So the negative impact of waterfront and coastal property on their financial rating gets greatly reduced, as opposed to other, mostly smaller, companies who are finding ways to take on this risk. Another ratings agency has sprouted up called DEMOTECH. (www.demotech.com) also gives financial ratings. One thing you will hear from insurance reps is that there are a couple of companies out there who are rated A by Demotech. But in many cases THESE COMPANIES ARE NOT EVEN RATED BY AM BEST! Others have an A rating from Demotech but B or B+ from AM Best. The reason is fairly straightforward. A lot of the investment capital, and reserve funding that the Demotech A rated companies use to back up claims payments comes from promissory notes from private investors such as billionaire George Soros and others. These investors have been chasing returns that are higher than the 1 or 2 % you can get on bank accounts and bonds these days, and have turned to complex insurance investments. Demotech counts these ‘promissory notes’ as if the insurance company already has the money. AM Best does NOT count these and so may assign a lower rating to a particular company. But again, many of the companies rated A by Demotech are not rated AT ALL by AM Best, and are not even eligible to be looked at by them. The final point to make is that if the insurance carrier is admitted in the state of New York, coverage is also backed by the New York State Insurance Guarantee Fund. This is comforting, but after seeing what happened with NY Rising, relying on the state government could be frustrating. You might get paid by them eventually but it would probably take several years, which could be a big problem. Bottom line? Deal with someone you trust, and ask questions and research a little yourself so you know what questions to ask. Visit us at www.nortonandsiegel.com for more info. We Haven’t Had a Hurricane on Long Island, How Come my Insurance Still Went Up? Welcome back to me, as I have not posted in a while now. The market for coastal and waterfront homeowners insurance on Long Island and in the New York – New Jersey – Connecticut area in general has, if anything, gotten a little better in the last year or so, with a few more carriers coming in to the market, and some companies at least NOT canceling as many people as they were 3 and 4 years ago. In addition, prices for insurance with the ‘excess lines’ markets such as Lloyds of London, Scottsdale, and many others, have been driven down by competition. This is/was especially true in the past several years where we have not had major storm activity. But in the most recent six months, there has been a ‘firming’ of prices and some tightening of underwriting coming from these excess insurance carriers who are the ones taking the risk on houses closest to the shore. The question becomes, why? There are several reasons at play. For one thing, it does not take a rocket scientist to figure out that in ANY type of insurance, but especially a line like home/fire insurance where there is a potential for catastrophic losses, rates can only go down so far before they ‘bounce along the bottom’. That’s the price at which companies start to notice that their profit margin is being squeezed. Insurance companies, if run properly, can make money, but it comes from relatively very small percentage profits on huge dollars. So when you are working on a 5% margin, or even less, it doesn’t take much to turn your results from black ink to red. The next thing that’s having an effect on all insurance company profitability is the low interest rate environment. When the insurance company is able to get a decent income on their holdings, competition can force them to lower or hold the line on rates they charge to customers. But since most insurance companies invest mostly in interest bearing bonds, and we know what rates are available on those, their investment income has dropped substantially in the past few years. Finally, the string of catastrophes in other parts of the world has an effect on the reinsurance market, which is where insurance companies buy insurance for themselves against the major catastrophes. That spreads the risk out all over the world, but unfortunately we have seen more and more events like tornadoes, tsunami’s, massive flooding, and other things that, even though they might not happen here, still affect rates for property with a high catastrophe risk. Starting tonight and for the next several weeks, the Suffolk County Department of Fire, Rescue, and Emergency Services is holding a series of meetings around the County where the topics will be Hurricane Preparedness, as well as how to understand your homeowners and flood insurance and make sure you have the protection that you think you have. Each meeting will have a presentation from the County, as well as a representative from the Board of Directors of the Independent Insurance Agents and Brokers of Suffolk County. I will be at the one tonight (May 26) at the Tanner Park Senior Center in Copiague, as well as the one in West Islip next Thursday at the American Legion Hall on Union Blvd. Times are 7-9. Other members of our Agent’s Association Board will represent the insurance industry at the various other meetings. Greetings all, and sorry it’s been a while since I have posted. But there has not been a whole lot of news to report until now. The Federal Government, in its infinite wisdom, has allowed the FEMA National Flood Insurance Program (NFIP) to expire as of yesterday, March 1 2010. This is due to the fact that one senator from Kentucky is currently blocking ALL legislation. The Flood Insurance Program has often been used as a political ‘football’, with senators and congresspeople in non-flood prone areas using renewal as leverage to get things they want. 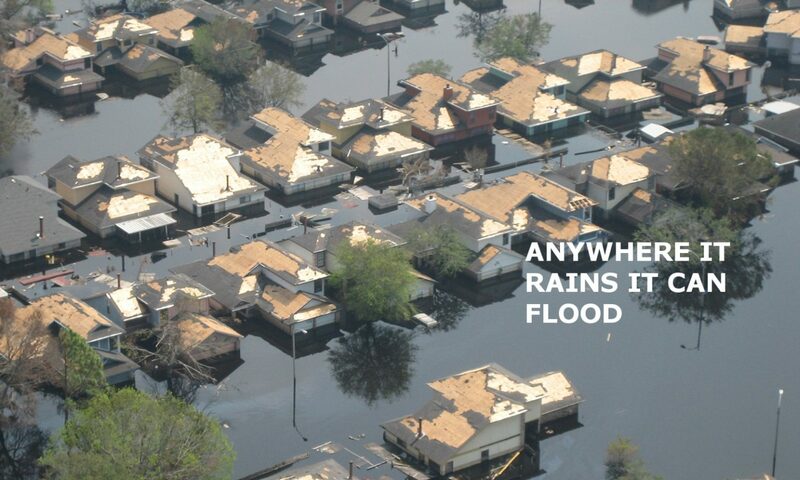 The good news is that if you currently HAVE flood insurance, it will stay in force until your renewal date. We expect that Congress will take action very soon. The bad news is that if you were getting ready to buy a house, you can’t currently buy FEMA flood insurance here on Long Island or anywhere else. This will probably be taken care of within a few days, but if it’s not, there are alternatives to the FEMA program that would enable you to go through with the purchase of your home. Contact us for more information.